For eight years the president of the United States was a born-again Christian, backed by well-organized evangelicals who often seemed intent on erasing the church-state divide. In Europe, the increasing number of radicalized Muslims is creating widespread fear that Islam is undermining Western-style liberal democracy. 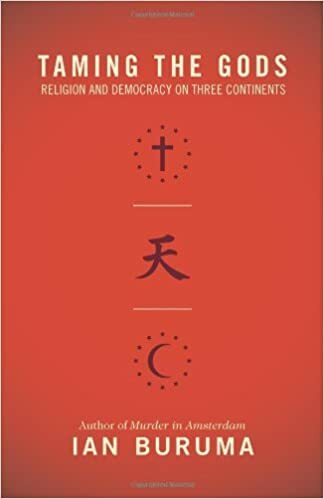 And even in polytheistic Asia, the development of democracy has been hindered in some countries, particularly China, by a long history in which religion was tightly linked to the state. Ian Buruma is the first writer to provide a sharp-eyed look at the tensions between religion and politics on three continents. Drawing on many contemporary and historical examples, he argues that the violent passions inspired by religion must be tamed in order to make democracy work. Comparing the United States and Europe, Buruma asks why so many Americans--and so few Europeans--see religion as a help to democracy. Turning to China and Japan, he disputes the notion that only monotheistic religions pose problems for secular politics. Finally, he reconsiders the story of radical Islam in contemporary Europe, from the case of Salman Rushdie to the murder of Theo van Gogh. Sparing no one, Buruma exposes the follies of the current culture war between defenders of "Western values" and "multiculturalists," and explains that the creation of a democratic European Islam is not only possible, but necessary. Presenting a challenge to dogmatic believers and dogmatic secularists alike, Taming the Gods powerfully argues that religion and democracy can be compatible--but only if religious and secular authorities are kept firmly apart.